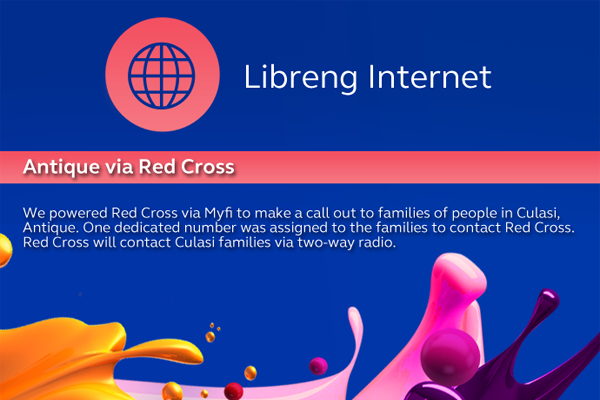 November 12, 2013 - Globe has set-up Libreng Tawag, Libreng Charging, and Libreng Internet in the typhoon affected areas in the Visayas. 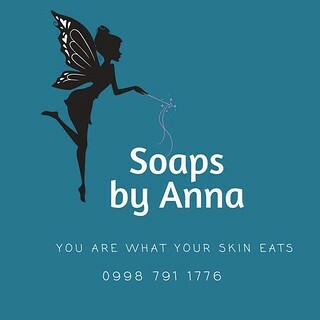 Considering that I have family in Antique, specifically in the Northern parts where GLOBE is the only reliable network, I just want to express gratitude for the swift aid and helping us connect with relatives and friends. Update: To help the communities severely affected by Super Typhoon Yolanda, the country’s three mobile phone operators -- Globe Telecom, Smart Communications, and Sun Cellular -- have agreed to provide 25 free SMS per day for five days that may be used for local and international text messages. 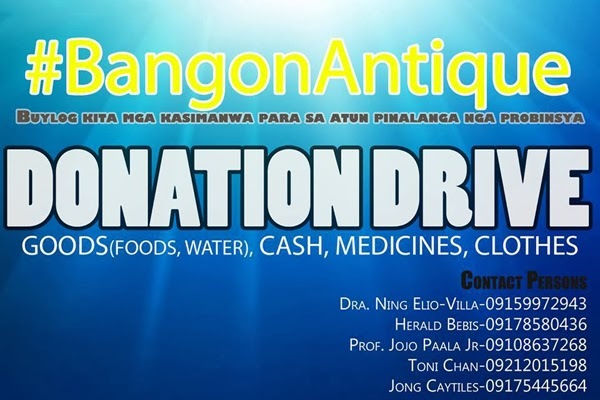 The joint offer will be available to subscribers in Tacloban City and the provinces of Aklan, Antique, Capiz, Leyte, northern Cebu and the Samar. The free 25 daily SMS bundles are available from November 13 to 17 and can be used to send text messages across all networks. There is also an allocation for international SMS. It will be pushed automatically to subscribers at the start of each day. Subscribers will receive SMS notifications once the bundles are sent. No registration is required. 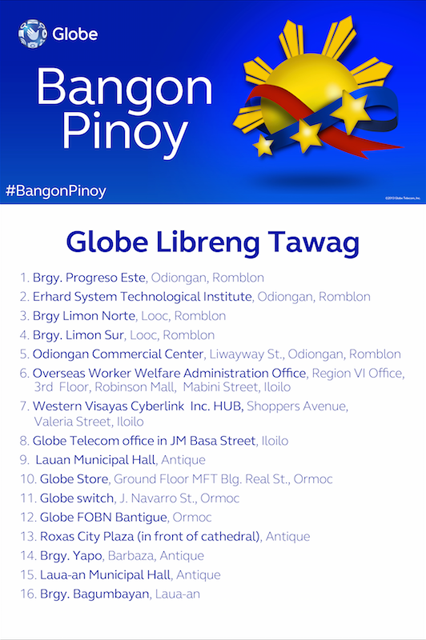 For Globe and TM subscribers, the free service can be availed by texting BangonPinoy to 8888.